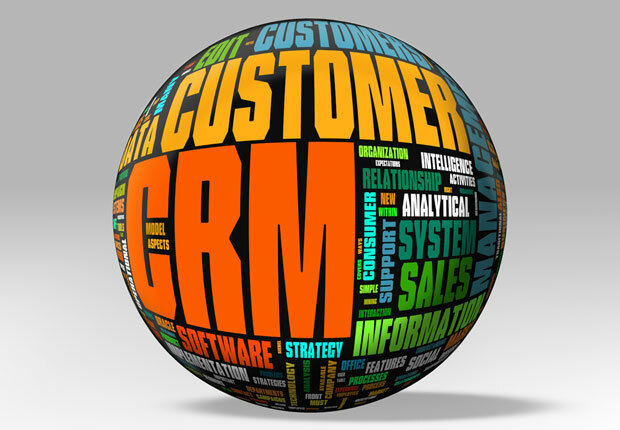 Do You Need Customer Relationship Management (CRM)? Does every customer interaction have a winner and a loser? If your business doesn't have a history of past experience with your customer, then every transaction is just that: a one-time deal where the customer wants to buy at the lowest price and you want to sell at the highest price. Today, successful companies recognize that customer loyalty and repeat business are the cornerstones of their prosperity. The lifetime value of your customer far exceeds your profit margin on any single sale. So how can you build that customer loyalty? Customer Relationship Management is the answer. "Customer RelationshipManagementis a company-wide business strategy designed to reduce costs and increase profitability by solidifying customer satisfaction, loyalty, and advocacy." True CRM brings together information from all data sources within an organization (and where appropriate, from outside the organization) to give one, holistic view of each customer in real time. This allows customer facing employees in such areas as sales, customer support, and marketing to make quick yet informed decisions on everything from cross-selling and upselling opportunities to target marketing strategies to competitive positioning tactics." "Company strategy and culture are separate but symbiotic." Customer relationships start with people. Top management needs to understand that company survival depends on providing excellent customer service day in and day out. In today's global marketplace, one bad experience and your customer will find another supplier. One study shows that 68% of customers who leave do so because of the treatment they received. That commitment to excellent customer service has to be communicated from the boss all the way down to the receptionist who answers the phone. It's an ongoing effort that needs to be reviewed and improved on a regular basis. Another part of providing great service is looking at all aspects of your business process and asking "Does this serve the customer first, or the company?" Streamlining your processes has great benefits for your internal efficiency and staff morale as well. Start out by looking at your procedures for handling complaints. Does your staff know how to find answers, respond quickly and make sure that each problem is resolved as soon as possible? Do you review complaints regularly to find root causes? Do you communicate the resolution to the customer and let them know how you've changed your procedures so this problem won't happen again? Customer Relationship Management relies on having the right information available to the right people at the right time. Visits to your website, emails, call history, meeting notes, complaint resolution, and order history are all part of your customer interactions. By centralizing everything in one place, you're giving your team the 360� view of the customer they need. A recent Harris Poll found that consumers' biggest gripe is clueless customer service: three-quarters of those who have ever called customer support reported frustration because the representative didn't know the customer's history with the company. 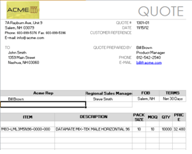 Today's CRM systems can often collect information as part of your normal business processes without extra manual entry. So if someone asks for information on your website, the CRM system can automatically create a record about them, send an email thanking them for their visit, and schedule a call for a sales rep to follow up. They can also automate tasks like sending renewals to customers with expiring warranties or reminding salespeople to call your top 200 customers regularly. 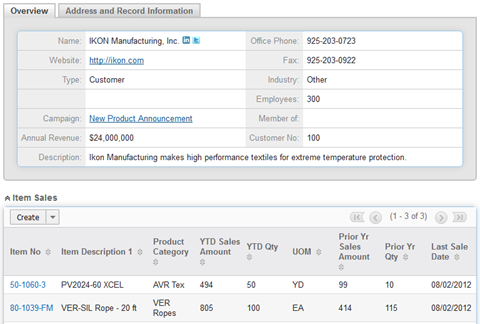 You can get warnings when a customer's YTD sales are lagging or a support case isn't closed in a timely manner. Not only are you improving your customer relationships but you're freeing your staff from routine, repetitive chores to concentrate on higher-value customer interactions. Modern CRM systems are very flexible and can be configured to support the data and processes that are unique to your business. And today these CRM systems are designed to support a mobile workforce. More and more companies are choosing cloud-based (Internet) systems because they give your team access to customer data wherever they're located: in the central office, at a branch office or working from home. Cloud-based systems are also attractive because they don't require capital investment in expensive computers which rapidly become obsolete and staffing with high-cost IT personnel. These CRM systems are subscription-based (Software as a Service) which makes it easy to add or reduce licenses as your business changes. You can still have regular backups of your data sent to you, but there's no cost for software upgrades which are part of the package. Finally, Customer Relationship Management isn't just for customers. It can help your company build lasting relationships with vendors, consultants, and others who make your business successful. This is a great time to rethink your relationship strategy and how to create loyal customers who are the lifeline of your business.